Elegance, refinement and luxury is the only way to characterize this stylish, 5 bedroom villa located in the heart of Limassol. 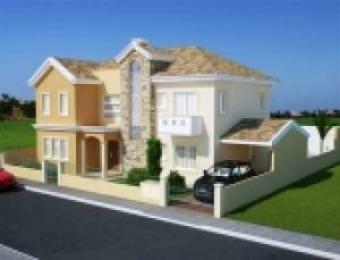 This villa has been especially designed to satisfy the needs of high-class living. It is within walking distance to Limassol`s sea front to the south and in the heart of the recently developing area of Linopetra, it makes it a much sought after location. With numerous shops, banks and prestigious showrooms at your doorstep, you can spend more quality time with your loved ones. The Limassol motorway is also a breath away, connecting you to all other major cities & airports as well as less than 10 minutes from the main Limassol town centre. Stylish details, such as the traditional fireplace in the living room and false ceilings with automated lighting systems give a touch of glamour to its chic decor. This project embraces the practical benefits of high-tech automation features with the provision of security alarm systems, audio/ home-cinema systems, audio-visual and electronic door entry systems. Electric gates to the car park and electric shutters also enhance its privacy. Adding more value to the owners` leisure moments is the overflow swimming pool with designer garden, barbeque area and fitted outside sauna, ideal for gatherings with family and friends. With its splendid design, high level of construction, and the use of only the best quality materials and finishes, this new project illustrates the desire to offer only the most luxurious and stunning properties in Limassol today.